At seven forty-five in the morning, it already felt like an oven, and when I walked outside, the moisture clung to my skin. Let me tell you, journal, I thought I was done with murder, but today I realized that that was wishful thinking. I'd clipped my hair up and headed in my ancient pickup truck, formerly owned by my great-grandmother and recently brought back to working order by Bubba of Bubba Murphy’s repair shop. The one thing Bubba didn’t fix was the air conditioner, which meant I looked like a drowned rat by the time I got to the swanky Bliss Country Club. Summoned by Mrs. Zinnia James, and if you’ve met Mrs. James, you know you don’t say no to a summons. But when I got there, the parking lot was bursting, but the golf course was pretty much deserted. I thought maybe all the golfers were all on the back nine, but the second I stepped inside the air conditioned lobby of the club, I knew I was wrong. Everybody stopped talking... and they were all looking at me. Not in a Look, it’s the dressmaker, Harlow Cassidy, and isn’t she an icon of fashion? way, but in a Let’s give her a wide berth like you’d give one of the Salem witches kind of way. Not a good feeling, let me tell you. All I can say is that murder is back in Bliss. And like a bowl of redeye gravy, I’m in the center of it. Oh boy. Will the Margaret Moffett Lea Pageant and Ball be able to go on? And what about the dresses I found in the attic? What do they mean and where did they come from? Good lord, there’s Will and Gracie to worry about! What a secret I discovered about them. And here I thought coming back to Bliss would be peaceful. What am I going to do? Sometimes I think I should move back to Manhattan. What do you think? 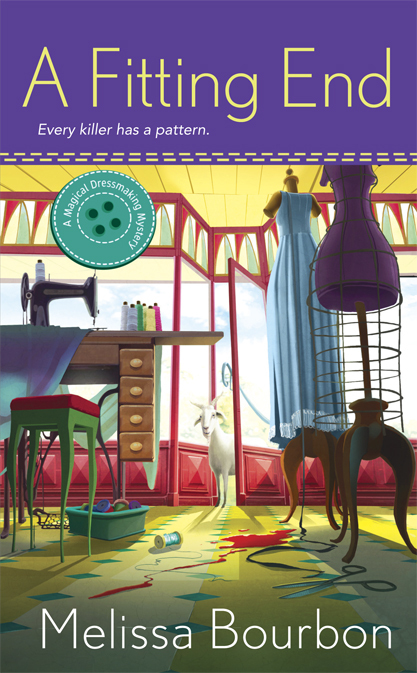 Watch the series trailer for A Magical Dressmaking Mystery series! Wonderful cover and a great story. Can't wait to get my hands on it. Sure hope the pageant gown turns out okay. Always something to worry about. Indeed, there is, Duffy. But things tend to work out one way or another. I hope you get a chance to make that gown . . .
Come hell or high water, I will, Haylee! You know what it's like to have such passion. I would stay the course - at least every day will be different and full of surprises. So, who is dead? I suppose I can reveal this to you.... the local golf pro, Macon Vance. But why? That's the question. Stay the course for sure...it all sounds so mysterious! Bliss is a mysteriously enchanting town, Kari! 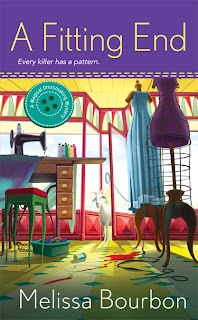 I agree, you need to sew hang in there. How could you leave a place that's so interesting? True, Krista! Nope, could never really leave Bliss.